For months, there have been new job openings for the Diablo Unannounced Game team. Reading through the various listings sometimes you can find unique terms that describe more details about the project. At first glance, some of the job openings clearly state it is a Diablo mobile game for Android & iOS devices. What intrigued me most is only one of the job openings kinda leaked this game might have some kind of Map Editor-like component to it. Only one of the job openings (Senior Software Engineer, Graphics/Engine) describes First-person engine. This is not only a Mobile Game, however. This game is made from the ground up to work on PC/MAC, and on Android/iOS Mobile devices: “Experience with shaders and GPU programming Knowledge of DirectX 11+ or OpenGL APIs.” — only one job opening revealed this portion (Senior Software Engineer, Graphics, Diablo). 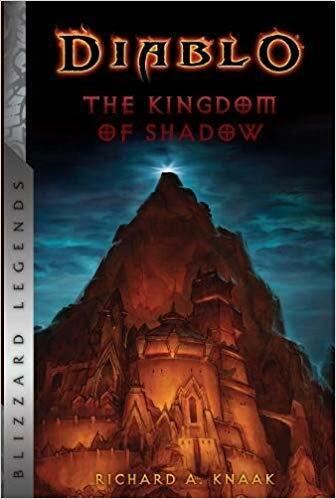 Starting today, the reprinting of Diablo The Kingdom of Shadow (under the Blizzard Legends Publishing label) is shipping to homes. This novel, by New York Times Bestselling author Richard A. Knaak, was originally printed in 2002 (a year after the launch of Diablo II: Lord of Destruction); and introduced Zayl the Necromancer, and the city of Ureh. Since the beginning of time, the angelic hosts of the High Heavens and the demonic hordes of the Burning Hells have been locked in a struggle for the fate of all Creation. That struggle has now come to the mortal realm…and neither Man nor Demon nor Angel will be left unscathed. Legend speaks of a long-dead city known as Ureh, thought by many to have been a gateway to the High Heavens. It is believed that every two thousand years, when the stars align and the shadow of Mount Nymyr falls upon the ruins, Ureh is reborn– and all its lost riches are revealed to those brave enough to seek them out. Now, after a lifetime of research and intense calculation, the Vizjerei sorcerer, Quov Tsin, has come to witness Ureh’s rebirth for himself. But that which awaits Tsin and his hired band of mercenaries is nothing like what they expected. They will find that the dream of radiant Ureh is, in fact, a twisted nightmare of horror– one that will draw them inexorably into The Kingdom of Shadow. In addition, all of these have been circulating the internet as confirmed teasers that something is coming in the horizon. The Goodie Bag contains a Diablo figurine. And, of course, let’s not forget that big Diablo I-era “Diablo” in neon right on the BlizzCon 2018 key art. Notice something particular about this incarnation of “Diablo”? He is missing the Soulstone on his forehead. There are multiple projects in the works, which opens up various possible games. In this article, I will speculate on what some of them could be. 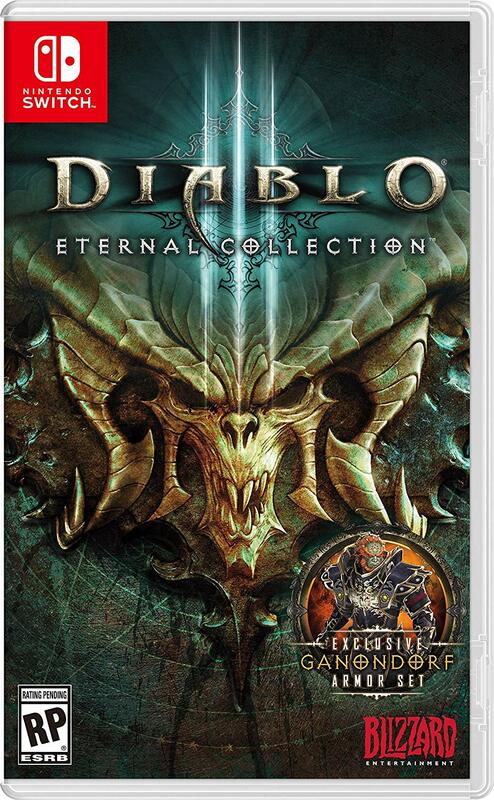 Blizzard Entertainment officially revealed the release date for the Diablo III: Eternal Collection Nintendo Switch. The game will ship on November 2 this year. The set contains all the content released until now, including: the Diablo III base game, the Reaper of Souls expansion, and the Rise of the Necromancer pack. In addition, those who pre-order will gain cosmetic rewards exclusive to Nintendo Switch players. Includes Switch-exclusive bonus cosmetics, featuring a full intimidating armor transmog set befit for the King of All Evil, Ganondorf; Golden Triforce portrait frame, Echoes of the Mask wings, and companion Cucco pet. Play with up to 4 friends online, offline via local coop, or on a single console couch-coop style. Supports all Switch controller configurations, including single and dual Joy-Con action. Digital pre-orders are open for the definitive edition of Blizzard Entertainment’s genre-defining action RPG, which includes the Reaper of Souls® expansion, the Rise of the Necromancer™ pack, and more. Blizzplanet correspondent Ben Lehman was invited by Blizzard Entertainment to attend the PAX West 2018 Diablo III Nintendo Switch press-only presentation and Q&A. 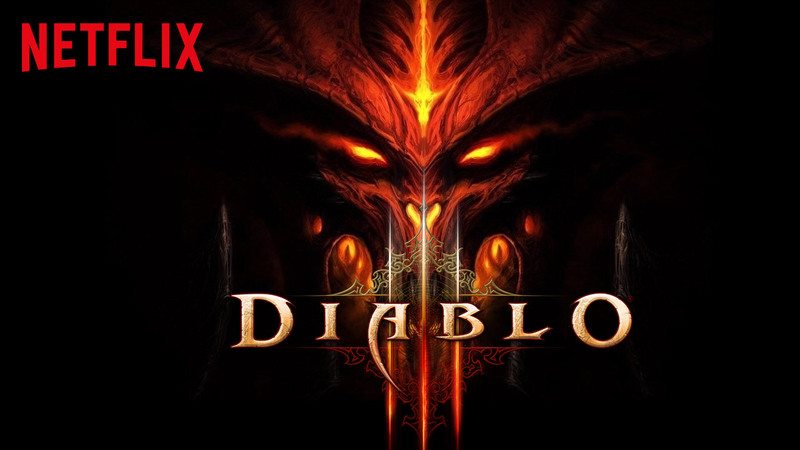 The Revenge of the Fans website has started a rumor based on a news submission to their desk that a Netflix Diablo Adaptation by writer Andrew Cosby (co-founder of BOOM! Studios) is in the works. He has written Hellboy (currenlty in post-production, 2019), Eureka (TV series, 2006), and Haunted (TV series, 2002). The website points out to hold the rumor with a grain of salt. Nevertheless, I am more open-minded with this type of rumors. I have been monitoring this topic since 2016 after the launch of Activision Blizzard Studios. That is serious business. They brought former The Walt Disney Company executive Nick van Dyk as co-head of the team, alongside Stacey Sher (producer of Pulp Fiction, and currently executive producer of AMC’s Into the Badlands). They have already launched Activision’s Skylanders Academy (TV Series) in Netflix. Two seasons so far, and a Call of Duty film series is slated between 2018-2019. On Tuesday (Aug 21), Blizzplanet correspondent @Handclaw attended the GamesCom 2018 Press-Only Presentation. No camera recording was allowed. Audio recording was allowed only for transcription purposes. The Diablo III Nintendo Switch presentation was led by senior producer Pete Stillwell and associate producer Matt Cederquist. **Due to the background noise, however, I am not able to transcribe word-by-word. I’ll highlight what could be heard clearly. In Diablo III Nintendo Switch, up to 4 players can play together whether they have four Switch controllers or joy-cons. Supports all Switch controller configurations, including single and dual Joy-Con action. Diablo III: Eternal Conflict Nintendo Switch is running at 900p. We targeted 60FPS. When having four Necromancers playing it feels responsive and plays as well as with any other platform. So we are happy about that. Cool things, because of this platform, we can truly play offline. Diablo III has been an always-online. Your progress will follow you. If you loot some good loot while offline, when you go online you still keep the same loot. We are calling it the Diablo III: Eternal Collection, so it will have everything we have launched so far. It has got the base game, it has got the Reaper of Souls expansion, and the Rise of the Necromancer pack DLC. It is going to have Themed Seasons as well. We will keep adding more Themed Seasons and do some experimentations. Just to get it out of the way, there is no cross-platform support. You do have to start a new character. We aren’t making character transfers from the PC or Console. You are not required to play the campaign in your first play-through. You know… I restarted in three different systems, and I am about to do a fourth? I was very adamant of doing the campaign again. Pre-orders have begun for the digital download version of the Titan Comics Diablo #1, slated to arrive on Kindle devices on November 7, 2018. 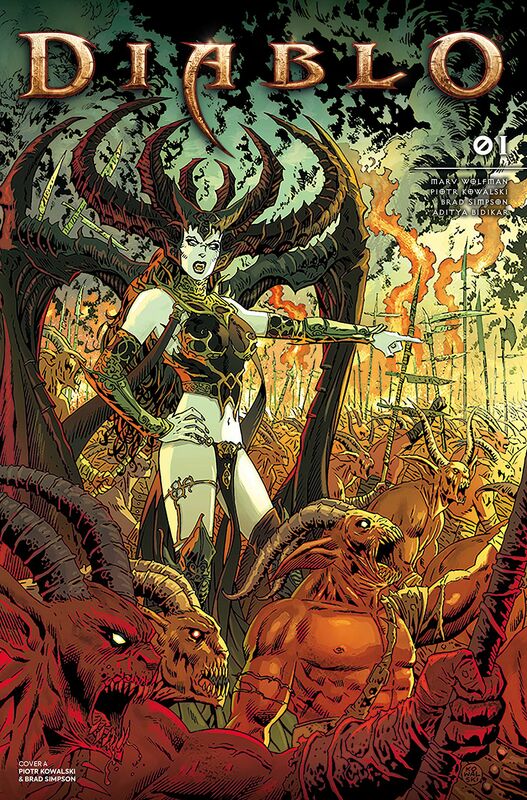 The Diablo #1 comic was announced by Titan via press release on July 23. By Marv Wolfman (Author), Piotr Kowalski (Illustrator), Brad Simpson (Coloring). UPDATE Aug 17: The Diablo III: Eternal Collection Nintendo Switch pre-orders are now open — with a release date slated for December 21, 2018. This, however, might be a placeholder date. Nintendo will officially launch the Nintendo Switch Online service in September 2018. Earlier, Blizzard said they plan to launch in 2018, so either way it’s just a matter of time. Grab yours while supplies last. Blizzard Entertainment has officially announced Diablo III Nintendo Switch under the title Diablo III: Eternal Conflict — which includes Diablo III, the Reaper of Souls expansion, and the Diablo III: Rise of the Necromancer pack for $59.99. 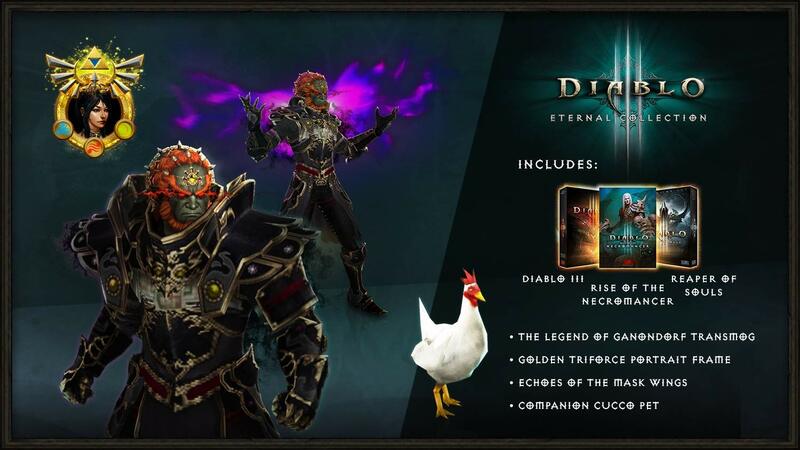 Diablo III Nintendo Switch will also include in-game bonus items such as the Legend of Ganondorf cosmetic armor set, the Tri-Force portrait frame, Echoes of the Mask cosmetic wings, and a chicken pet (which sounds like another Legend of Zelda nod). Diablo III: Eternal Conflict Nintendo Switch is slated to ship within 2018. No further details yet. However, Nintendo plans to launch the Nintendo Switch Online service on September 2018. That’s a pretty good idea when more or less. Blizzard Entertainment plans to hold a Diablo event at GamesCom 2018, as seen in the schedule app. Blizzplanet’s correspondent Handclaw will be there. Follow us on Twitter or Facebook for GamesCom updates. 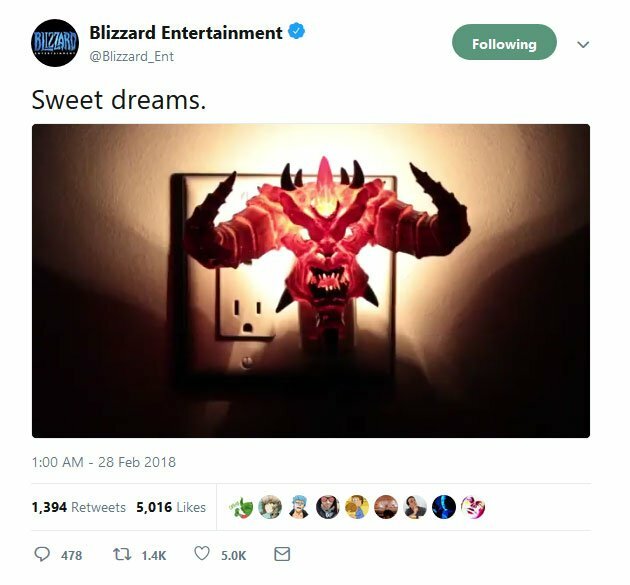 The Diablo III Nintendo Switch rumor was born after Blizzard Entertainment posted (via Twitter) the message saying “Sweet Dreams,” alongside an enigmatic image of a Diablo-shaped night-light plug. The short animated GIF showed the action of switching the light on. Hence: Diablo III Nintendo Switch.